These comments were submitted for the 2015 Salt Lake City Parks, Trails, and Open Space Initiative (Submit Comments) (Click the preceding link to submit your comments). Recreational cycling is important for the health and enjoyment of Salt Lake City’s residents. Recreational cyclists become commuter cyclists and vice-versa. Therefore, I am submitting a Salt Lake City Recreational Cycling Plan to further Salt Lake City’s goal of becoming a Great American Cycling City. The Salt Lake City Parks, Trails, and Open Space Initiative is an exciting process that will hopefully lead to progressive, sustainable, and inclusive outcomes for Salt Lake’s recreation areas. Since the recent Salt Lake City Pedestrian and Bicycle Master Plan only focuses a little on recreational riding – both road, and mountain – and also focuses mostly on paved streets, there is a need for creating a Recreational Cycling Plan for Salt Lake City. This belongs as part of the new initiative. It would complement any recreation aspects in the Bike/Ped Master Plan. Vision: Salt Lake City will have a comprehensive system for recreational cycling consisting of a network of off-road soft-surfaced trails, on-road routes, and paved pathways and programs for all types of recreational cycling. (Note: Many other aspects of recreational cycling are included in the Salt Lake City Pedestrian and Bicycle Plan including a recreational routes proposal, and encouragement programs for on-street commuter and recreational cycling. They are not included here since this proposal is for the Trails and Open Space Initiative, but should be included in a broader proposal). Salt Lake City needs a Soft-surfaced Trails Master Plan for hiking and mountain biking. ii. The system should integrate with North Salt Lake’s trails system as well as the Emigration Canyon Trails system. iii. These trails are needed especially from Hogle Zoo to Ensign Peak to the border of North Salt Lake. City Creek and the Bonneville Shoreline Trail – both sides of the mouth of City Creek. This should match what Ogden, Park City, and other systems around Utah have. It should also match Jordan River Parkway’s planned system, and Salt Lake County’s planned system. Salt Lake City is planning signage, but it needs to be consistent with other systems. iii. Land Purchases of private land and easements within the Foothills should be made to consolidate open space and easements. i. Can any soft surface trails be created quickly and easily on the west side of Salt Lake City? i. 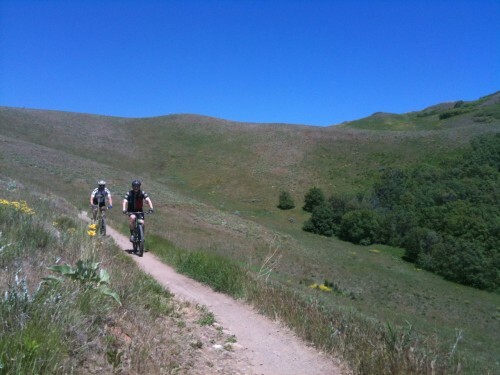 This may be out of the purview area of the Open Space Initiative, but attention to a mountain bike and hiking trails system in the watershed area is needed. 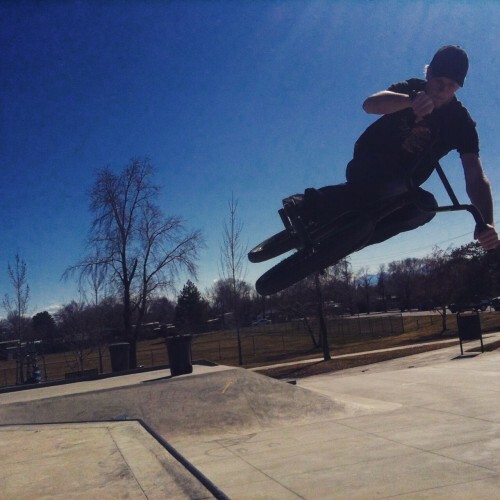 Bike Parks – Salt Lake City needs a plan for Bike Parks within the city. Installation of the funded pavilion. Kiosk and information on usage, safety, etc. Beginner and intermediate areas, lines, and jumps so that the park is accessible to all and builds the community. v. A map or website needs to be created provide information. BMX Course – a regulation BMX race facility and training area for kids. Skills areas (obstacles) for adults and kids. Cyclocross Course and practice area. Cyclocross is a type of bicycle racing and training that is done on smoother trails. Courses are typically 1 to 1.5 miles long with terrain changes, lots of cornering, not much climbing, and some obstacles (both natural and movable barriers). Cyclocross is typically done from August to January. Weekday and weekend races could be part of this for 1-2 days a week. Depending on the location, the course could also work for a Short Track Cross Country mountain biking course (STXC). These typically contain more hills, but are also shorter. The course should be designed with the goal of attracting local and national caliber races. Dedicated Criterium Course. An approximately 1 mile paved loop for bicycle racing. The course should be approximately 24 feet wide. It could be created on streets surrounding the Cycle Park, and dedicated for use 1-2 days a week from March – October. Kids Traffic Training Area to teach kids about riding on streets. This would be a paved area. Velodrome – Salt Lake City used to be one of the two or three main locations for track racing in the world. The Salt Palace was originally a bicycle track. Creating an outdoor paved velodrome would be a great addition for Salt Lake City. Hard Surface Trails (Pathways) Plan for Pathways such as the Jordan River Parkway and PRATT. While some of this plan is included in the Salt Lake City Pedestrian and Bicycle Plan, Salt Lake City needs a master plan for additional paved pathways for bicycling and pedestrian use. i. Completion of the trail should be a goal. ii. Wayfinding needs to be implemented that coordinates with the SLC soft surface trails, Utah state, and the SLC streets wayfinding programs. iii. Goat Head (puncturevine) control needs much, much more attention than it is currently receiving. Goat Heads are a Salt Lake County Noxious weed and as such, a control strategy needs to be implemented by Salt Lake’s Parks Department. Trail landscaping needs to be improved. Current practices are not adequate to prevent establishment of Goat Heads. The JRT should not be completed until a removal program is firmly in place. i. Finish the PRATT Trail and connect it with the West Valley Cross-Town Trail. Other planned SLC Trails including the McClelland Canal Trail, Surplus Canal Trail, and more. Mountain View Corridor Trail – planning needs to take place to ensure proper access for this trail. i. Additionally, bicycle access should be maintained with bike lanes on the shoulders. And, the MVC should be downgraded from a freeway to an arterial. General Cycling Events in Salt Lake City should be encouraged. Permitting and costs should be kept to a minimum. Recreational Bike Routes Proposal for on road recreational routes such as City Creek, Emigration Canyon, and the Great Salt Lake Marina. (contact Dave Iltis • [email protected] for a copy). The Rec Bike Routes proposal has been previously submitted to Salt Lake City Transportation, Salt Lake County, and UDOT. Bike Facilities need to be constructed and placed in an environmentally sensitive manner that encourages enjoyment of the natural surroundings. One Response to "A Proposal for a Salt Lake City Recreational Cycling Plan"